You must be happy now to bring happiness into your life through the law of attraction. It’s a simple formula. Happiness attracts happiness. 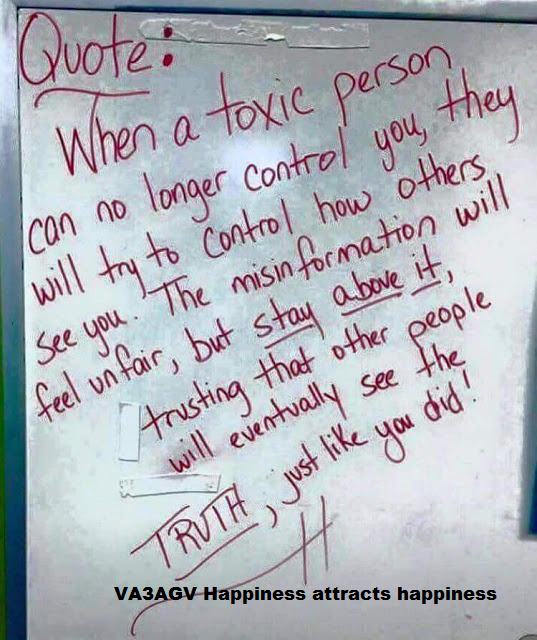 When a Toxic person can no longer control you, they will try to control how others see you. The misinformation will feel unfair, but stay above it, trusting that other people will eventually see the TRUTH, just like you did !